Places to see in Sangsey: This is a small village on the edges of a pine forest, which commands a panoramic view of Mt. Kanchenjungha and River Teesta. In spite of being located near Delo, Kalimpong and Lava, Sengsey does not fall on the popular tourist trail, hence if you are looking for a quiet getaway, then you can can spend a few days here. 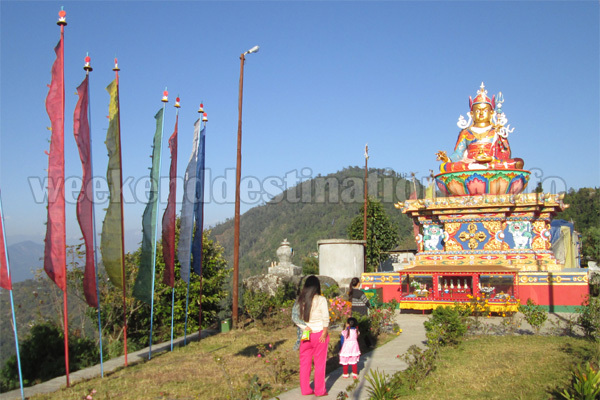 There are few view points on the way to Sangsey featuring statues of Buddha and Guru Padmasambhava. Nearby attractions of Sangsey: While staying at Sengsey, you can make day visits to Delo Park and Kalimpong Science Park. 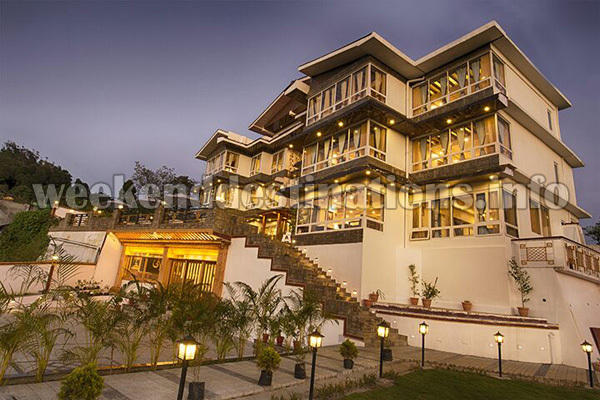 Local sightseeing to the various attractions of Kalimpong like Pine View Nursery, Durpin Monastery, Delo Park, Golf Course, Gouripur House and the market square of Kalimpong. Also, you can take day trips to Jalsha Bungalow in Munsong, Reshikhola Riverside, Icchey Gaon Village, Sillery Gaon Village and the grand monastery of Lava from Sengsey. Things to do in Sangsey: Apart from enjoying sunrise over Mt. Kanchejungha from the resort in Sangsey, bird watching in the surrounding forests of Sengsey is one of the most preferred activities here. Also, trekking in the pine forests, monastery visits, taking village walks in Icchey Gaon, arranging campfire in the evenings and surely if you are into adventure sports, then paragliding from Delo can be enjoyed while staying at Sengsey. How to reach Sangsey: The nearest rail head of Sengsey is New Jalpaiguri (NJP) and the nearest airport is Bagdogra (IXB). 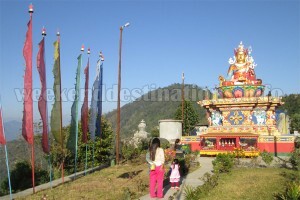 You can take taxis or shared cars from NJP or IXB to Kalimpong and hire cars from Kalimpong to the resort. Also, pick-up and drop service are provided by the Sangsey resort. Best time to visit Sangsey: You can visit Sengsey anytime of the year. Winters are ideal for watching the rising sun over Mt. Kanchenjungha from your room while the cool weather of the summers is just ideal for you if you want to escape the scorching heat of the plains. Lodging and dining facilities of Sangsey: A luxury resort featuring all modern facilities, spacious rooms with comfy beds, huge windows overlooking snow capped mountains, lawns, gazebos, swimming pool, fine-dining hall, arrangements for guided tours, transport assistance, 24-hrs electricity and everything you can imagine for luxury living at 5600 feet above sea level. The resort arranges for entertainment programs every weekend evenings for its guests where local bands perform in the outdoor dining area. The resort also features a dedicated multi-cuisine restaurant for its guests.